Last edited by plainSight Solutions; 04-04-2018 at 04:01 PM. Swarovski EL O-Range. Now in Stock!!! Fresh off the tree! We received another batch of these special order EL Range binos and there are a few up for grabs! Act now, and we'll include a 5lb box of juicy mandarin oranges! For real! 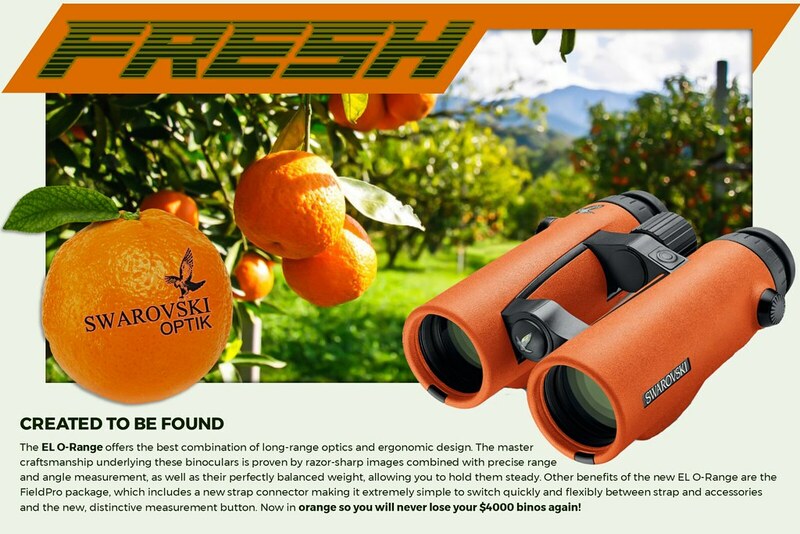 Swarovski EL O-Range 10x42 - in-stock! I didn't think I would like them, but I am really digging orange! They are jammed full of Vitamin-See! Down to the very last one of these juicy units!